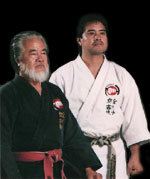 has branch dojos all over the world with thousands of members training. Our members have joined Kenshinkan for different reasons, but we all enjoy our training. Copylight(C) 2010 KENSHINKAN Allrights reserved.